Home » Smart Money » Investing » What are the Best Robo Advisors for a Roth IRA? Robo-advisors are digital platforms that provide automated, algorithm-driven financial planning services with little to no human intervention. Most robo-advisors use a digital client onboarding service, collecting information from clients about their financial situation and future goals through an online survey and then uses these data to give advice. The client can also choose to let the robo-advisor invest their assets automatically. They can be a great way to help you manage your asset and make your portfolio balanced as they cost lower than traditional financial advisors. Most robo-advisors charge you with 0.2% to 0.5% of your total account balance compared with the typical rate of financial advisors that charge you with 1% to 2% of your total account balance. There are over 200 robo-advisors available in the U.S., and more are launching every year. All of them provide a combination of investment management, retirement plans, and overall financial advice. In this article, we will discuss in detail the best robo advisor for investment management in a Roth IRA. Betterment LLC is one of the biggest robo-advisors with over $10 billion in assets under management (AUM) and is the first robo-advisor to reach the $5 billion AUM mark in July 2016. Betterment takes a passive approach in investing and trades through the Apex Clearing Corporation. This has no minimum account balance for its digital, or standard plan that’s why it is very appealing to new investors. Premium and Plus plans also grant top-tier portfolio management services. Betterment employs automated tax-loss harvesting, and the company advertises that “You can potentially keep an additional 2.9% of your investment returns each year by using Betterment,” because of the brokerage’s passive-investing approach and tax-efficient techniques. Betterment charges a 0.25% yearly fee for its digital plan which has access to customer service, automated portfolio management, and all of its web tools. This level of plan also gives customers access to one phone consultation per year with Betterment’s experts. If a client has over $2 million in assets with Betterment, the client does not pay a fee over $2 million. Betterment has account minimums for premium plans but offers clients unlimited calls with Betterment’s team of financial planners. The minimum account balance for a premium plan is $100,000 with an annual fee of 0.40%, but the exchange-traded funds (ETF) management fees range from 0.09% to 0.17%. For people who have a more complicated financial situation including exchange-traded funds, and want to discuss their strategy with a CFP, this plan is for you. Be sure to check out our Betterment vs Wealthfront review. Personal Capital is a complete online financial platform that provides free planning tools and access to a human financial advisor. It allows clients to connect their existing bank accounts to the platform to track their spending, savings for retirement and their portfolio’s performance. It also follows the modern portfolio investment approach to determine your portfolio’s optimal asset class mix to maximize your portfolio’s returns. The fee for this robo-advisor is higher than others, ranging from 0.49-0.89% annually. Clients will pay the highest fee of 0.89% which is for holdings of up to $1 million, but they charge you less when you invest more funds. Personal Capital earns points for its wealth of financial planning tools and its dedicated team of financial advisors. Personal Capital offers three different accounts: its “Investment Service” for those who have up to $200,000 in investable assets, the “Wealth Management” plan for those with $200,000 – $1,000,000 in investable assets and, “Private Client” for those with more than $1,000,000 in investable assets. These premium plans give access to dedicated financial advisors and additional wealth management features such as tax-loss harvesting, and other services like estate and tax planning services. Schwab Intelligent Portfolios’ zero fee structure has attracted much attention which means it has no account fees or commissions. Instead, it earns money through management fees from Schwab ETFs and selects third-party ETFs. 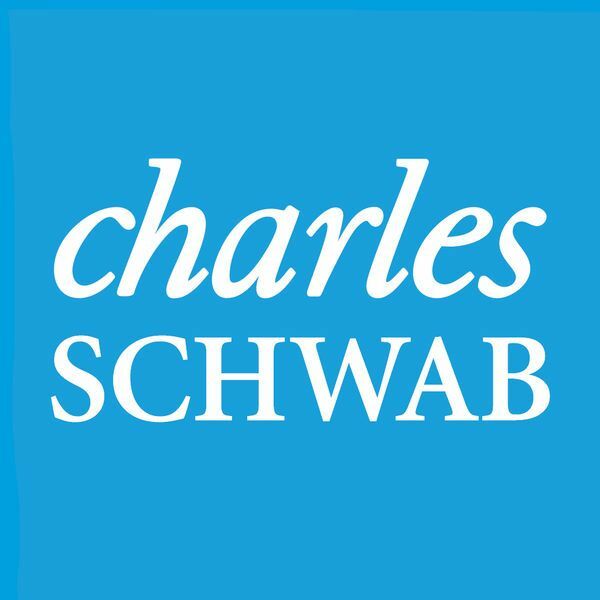 While Schwab’s accounts are “free,” a minimum balance of $5000 is required to open an account. It is worth noting that this has the highest minimum requirement in all robo-advisors in this list. Schwab offers IRAs, retirement, 401k, 401(k) rollover, and trust accounts. The platform is goal-oriented and will give you a customized portfolio based on your answers to the questionnaire. Their portfolio offers a wide variety of asset classes as asset allocation is the basis of Schwab’s investment philosophy. It also employs automatic rebalancing and automatic tax loss harvesting for accounts with assets higher than $50,000. According to Schwab’s website, “the operating expenses you will pay on the ETFs on your portfolio are the same as the ones you will pay if you invested in them on your own.” Schwab’s ETF range from 0.03% to 0.40% but the operating expenses you will pay will vary depending on your portfolio since fundamentally weighted ETFs carry higher operating expense ratios (OERs). SigFig keeps your existing investments if you have holdings in TD Ameritrade Holding Corp., Charles Schwab Corp., or Fidelity Investments. This is beneficial, as many current TD Ameritrade users have concerns over their current investment. Just like the other robo-advisors, SigFig let you answer a risk tolerance questionnaire to customize your portfolio. There is a minimum account balance of $2000, but accounts under $10,000 are free of charge. Clients are charged a fee of 0.25% for accounts with higher than $10,000. However, you are only charged for the amount in your account past $10,000. SigFig offers two account types: its free portfolio tracker account and its managed account. You can also use SigFig’s platform to track how your portfolio is performing using the dashboard tools. Its managed account provides features such as access to its financial advisors and financial planners through phone calls, tax loss harvesting, automated rebalancing, asset allocation models, and automated reinvesting. Wealthfront has over $7.5 billion in assets as of October 2017. The robo-advisor will build you a personalized portfolio based on your answers to the risk tolerance questionnaire. Your Wealthfront account is kept at Apex Clearing Corporation and makes investments on your behalf. Wealthfront recently lowered its minimum investment amount to $500, and there is no management fee for accounts valued at less than $10,000, but the platform charges 0.25% of assets over $10,000. Wealthfront offers a mutual funds referral program that will give you and your reference an extra $5,000 to be managed free. The underlying mutual funds fees only average 0.1taxa2%, and there are no trading fees. While putting together this Wealthfront review, we discovered they offer portfolio management services and different account types (i.e., 529 College Savings Plans, individual accounts, IRAs, trust accounts). The company uses a tax-optimized direct investing strategy for minimizing investing costs and tax loss harvesting. Under this system, individual stocks representing an index are bought rather than the actual index ETF, so that some stocks may be sold for tax-loss harvesting. The firm performs ‘daily tax-loss harvesting’ and periodic rebalancing. It is important to remember that Wealthfront is the only brokerage that offers direct indexing. This service is open to those with $100,000 or more invested with Wealthfront. For those with $100,000 or more funded in an individual or joint investment account, the brokerage offers additional features such as its new portfolio line of credit program which was launched in April 2017. In short, clients who qualify the threshold mentioned above can loan up to 30% of their account balance. Wealthfront offers these loans at an interest rate of 3.25%-4.5% and a flexible repayment program. Wealthfront offers several value-added features for accounts of all sizes. One of its features is called “Path,” which analyzes your spending and savings patterns and provides recommendations based on your habits. Be sure to check out our Wealthfront vs Betterment review post. Fidelity, established in 1946, has been a landing spot for self-directed investors for decades. The firm manages over $2.2 trillion in assets and is the largest retirement provider in the U.S. However, Fidelity is new to the robo-advisor arena, which launched its services in August 2016. Fidelity Go is an online counseling firm that uses a team of investment managers and a computer program to manage your investments. Fidelity Go is fully computerized, which means everything is set up using just your network. However, if you have a customer service question, you can still call Fidelity and speak to a customer service representative. Fidelity Go takes a unique approach to its investment philosophy. It has crafted portfolios built by a team from Geode Capital Management and Strategic Advisors. Geode is not new to Fidelity, it serves as a sub-advisor on a host of Fidelity’s funds and makes a similar management style to the existing managed account team. Fidelity Go charges an all-in fee of 0.35% to 0.40%, which includes its consultation charges and fund expense ratio fees. One confusing part of Fidelity Go’s pricing is how the website describes it in its FAQ section. Fidelity Go charges an advisory fee of 0.35%, and the underlying average expense ratio is about 0.10% – making the total fee 0.45%. However, the reason the fee is only 0.35% is that Fidelity gives a variable fee credit – which means Fidelity offers clients a credit and the total cost is 0.35%. Fidelity Go does not offer tax loss harvesting which several of its competitors offer. Tax loss harvesting is a service that “harvests” — or sells — losing investments to offset the gains from winning investments, which can reduce capital gains taxes. Tax loss harvesting can only be used on taxable accounts. This service is only beneficial on taxable accounts because retirement accounts hold off taxes until retirement as with a traditional IRA or offer tax-free growth. Betterment and Fidelity Go both offer quality resources for retiring investors. Nearly all robo-advisors will manage your IRA, but what makes them stand out is that they are retirement focused. Betterment’s RetireGuide allows clients to link non-Betterment accounts, including outside 401(k)s. It offers comprehensive retirement planning guidance and behavior-finance-rooted tools that can push you to save more. Fidelity Go is one of the largest 401(k) plan providers, making for simple 401(k) to IRA rollovers if you have other accounts. Fidelity Go clients get full access to the broker’s retirement planning tools and apps. Although the pricing structure is different, costs are similar to both companies. Betterment charges a standard management fee of 0.25% for its digital account, then uses funds that charge expense ratios between 0.09% and 0.17%. Fidelity Go breaks from the traditional robo-advisor pricing model to charge an all-in fee that includes investment expenses that costs just 0.35% for retirement accounts. The company has a higher minimum investment requirement, however, at $5,000 to Betterment’s $0. We hope this post helped you determine the best robo advisor for your investment portfolio. Feel free to reach out to an investment advisor to get the best financial advice pertaining to your personal investment portfolio, taxable accounts and mutual funds. An investment advisor may not have the same digital client onboarding options, but as long as your assets under management are handled well, that’s what matters. Thanks for this guide, appreciate it! I am new and trying to invest, I want to go for Betterment since I don’t have much capital. Do you think I’m making the right choice?